Have you been working on your scuba bucket list and need some ideas of amazing places to dive? There are a lot of things to consider when adding a destination to your adventure list. What are the great spots? How long will it take to get there? What are the water conditions like? What is the language and what money should I take? The right planning is key to a successful diving trip. The most important part of planning is having the right information. 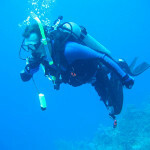 I decided to find out what the best scuba destinations are in the world. Then I compiled some facts and figures about each location so will have a starting place on planning your next trip. 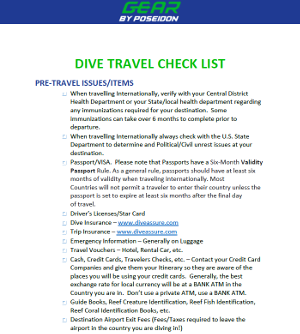 Whether it is a cold or warm water destination, in Asia or the Caribbean, this list is a must-read for any diver and I put it all into a fun to read infographic which will help you get that bucket list all planned out. Here is an Infographic of the 40 Top Scuba Destinations in the World. In this list is missing one of the best and uniques dive site in Mexico in south of the country and is call the Cenotes, a unique environment formed by underground rivers or flooded caves in all the Yucatan Peninsula. The water Temperature is 78F/25C all year long, visibility more than 200ft/60m, rock formations and amazing rays of light passing through the entrance creating the refection of the ambient light. Thank you for that recommendation. I will keep that in mind for a future list. Happy diving! Love the infographic! Tiger Beach is amazing between October and May!! Hey thanks! We will have to go to Tiger Beach!